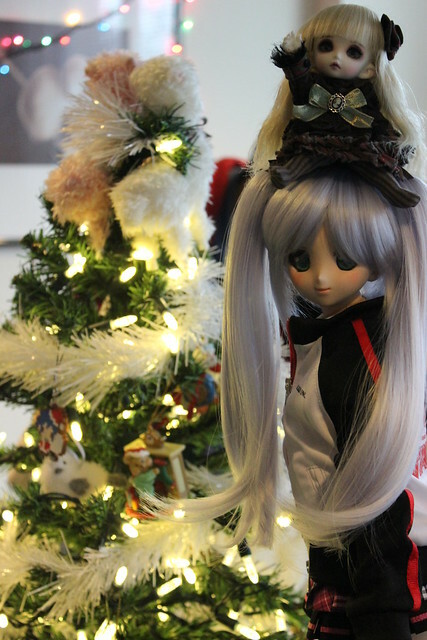 Last weekend I had the good luck to be in Vancouver the same time as the big holiday-season doll meetup in Vancouver! I was only able to stop by for a couple of hours before running off to work, but it was so nice to see my Vancouver-based doll friends and meet some new ones too! Unfortunately I left my brain in Toronto, and forgot to bring my doll carrier bag with me (*sigh*) so I had no dollies of my own with me, so I went around taking pictures of everyone else’s dolls instead. 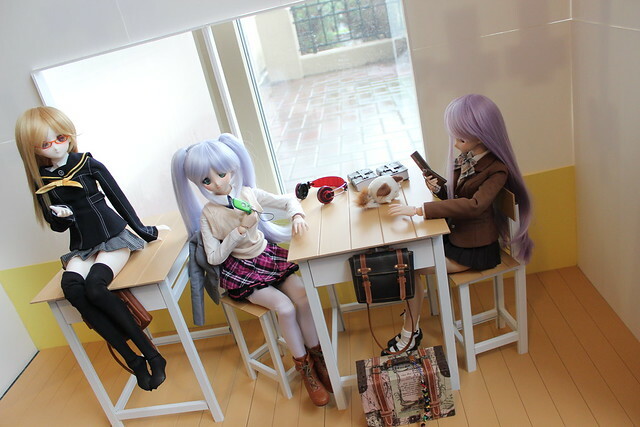 Maruneko brought his school classroom photo set and several of the Dollfie Dream girls were being conscientious students – though there may have been some texting in class! There were a lot of dolls and I wasn’t able to get everyone’s name so please leave a comment in my Flickr set if I took a photo of your doll! 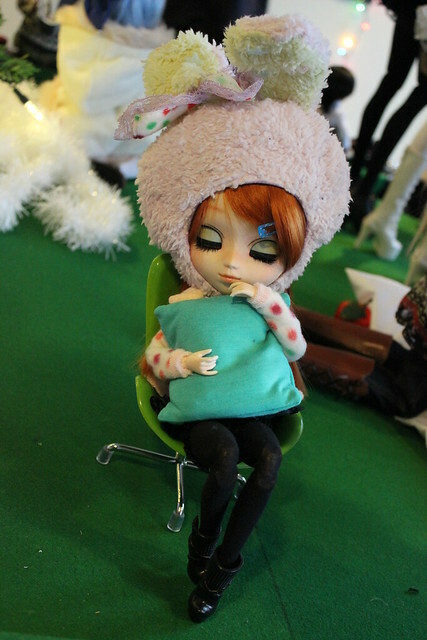 This little Pullip was so sweet, with her bunny hat! I had a really nice time meeting everyone! It was a lovely way to spend the afternoon before I had to fly home. I hope all my Vancouver friends have a wonderful holiday season – and hopefully I’ll see you soon in the new year! Maqywhaq’s little girl “hanging around” with Aki! ^__^” So cute!! This entry was posted in BJD Misc, Doll Meetup, Dollfie Dream and tagged bjd, Dollfie Dream, meetup, Vancouver by archangeli. Bookmark the permalink. 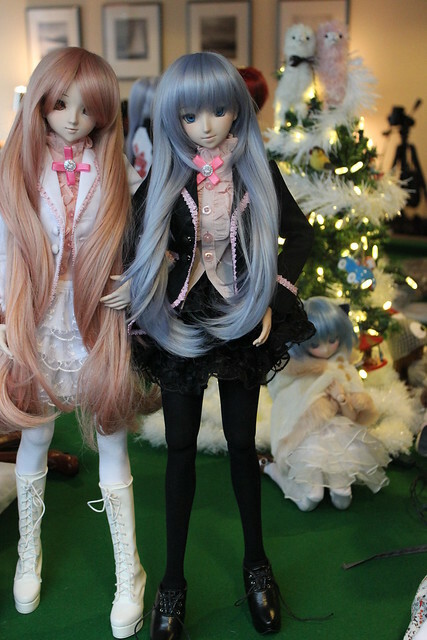 So many beautiful dolls in the same place at the same time- I’m moving to Vancouver! Oh, and the ‘Blythe’ is a Pullip doll! Oops! -__-” Thanks, I fixed that! 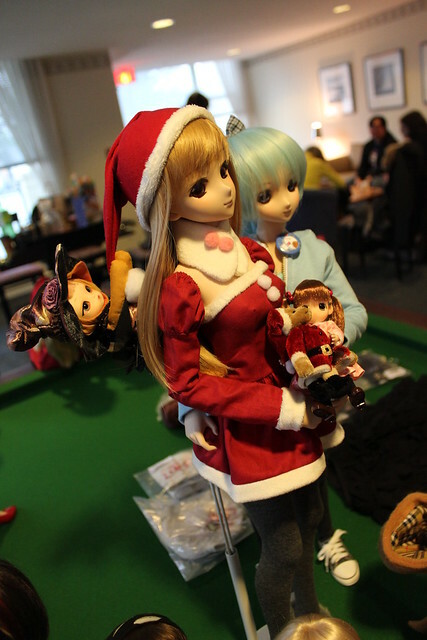 There’s a really huge BJD community in Vancouver – it’s quite lovely whenever I get to pop in for their meets. I’ve been lurking in their FB group since summer of 2011 hoping that I’d be able to attend one of their big gatherings! !